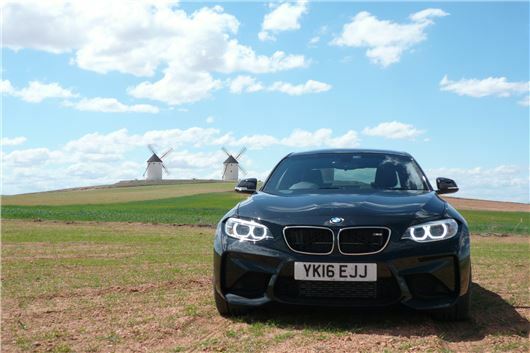 I have just taken delivery of a new BMW M2, after a year’s wait. Just one gripe: excessive road noise (depending on surface). Any ideas on reducing this? My insurance renewal papers addressed me as Miss (correct) Leek. My personal details schedule describes me as Mrs (incorrect). After contacting my insurers, LV, to inform them of the discrepancy my quotation was increased by approx. £70 because I am unmarried. No satisfactory reason for this has been given. The option suggested by LV was that I sought cover elsewhere, so presumably this is not an industry-wide rule. I renewed, as there is only so much hassle one can take. However, I wonder if this discrimination is legal. Shall I threaten them with a referral to my solicitor? Sorry, this is standard underwriting risk. Stats show that a single person is more of a risk than a married person because single people as a group are involved in more claims than married people as a group. Having taken your advice, three months ago I bought a 2009 VW Golf Plus: high enough to enable my arthritic wife to enter with ease. It is wonderful, for which I thank you yet again for your guidance. This is by way of a supplementary. The tyre/road noise is quite high in the Golf. Back in 2002, you recommended quiet- running tyres from Micheldever for my Octavia. They solved the problem. Please, what might I buy to achieve the same improvement in the Golf Plus? I would also be grateful for your opinion on the efficacy or otherwise of tyre pressure monitor caps. Are they reliable? I regularly check my tyre pressures, but these appear to offer a cheap aid to ensuring that I don't waste money on fuel or tyres. In my opinion, the best all-round tyres are Michelin Cross Climate: They give a compliant ride, better steering response and are quieter as well as offering enormous benefits in cold, damp conditions, in snow and in mud. No downsides in fuel economy or tyre life either. I wouldn't fit these valve caps. They can cause tyres to lose pressure when they would not have done so otherwise. I’d really appreciate your advice. I bought a 2012 VW Tiguan SE a few months ago and always found the seats uncomfortable, but now I am driving 112 miles a day I am suffering from lower back pain. I’m reluctant to have to sell the car, so what else could you suggest? I’ve seen heated seat pads on the Internet, are they any good? Recline the seat more and move the squab slightly forward. The more upright you sit the greater weight you impose in the base of your spine. Reclining the seat more spreads the weight of your back into the back of the seat. Basic ergonomics. My elder son and I would like to take part in the Mongol Rally next year. The rules call for a vehicle with a 1.2 litre engine or smaller. Considering that once you get beyond the Caspian Sea the roads are frequently unpaved, what would you suggest? The budget also requires the car to cost next to nothing as well. A 1999 - 2005 Toyota Yaris 1.0iVTi 4-cylinder manual. That is the best small, cheap car, providing, of course, you can find a good one. The chances of this are high because it is a typical little old lady's car (like my mum), whose 2001 Yaris has yet to pass 30,000 miles. Replace all of the coil springs and dampers before you set out. The clutch of my Honda Civic has now reached 433,102 miles. Is that rare? Here's a bit of advice for you: I suggest you drive the Hyundai i20, 1 litre, 3-cylinder Turbo, 120PS version. Cruise control brilliant, Lane departure warning effective, Cruise at 70 mph in 6th gear, engine RPM 2,500. On smooth tarmac, quiet as a Rolls. Throttle response and control must be best in class. MPG on long journeys 45 plus. Road-holding, comfort and steering suit this 81 year old. My children comment that it is stylish, and good value. I traded in my 2013 i20, 1.2litre, with 26,000 miles on the clock, to my Hyundai dealer in Northwich, Cheshire, paid him £6,495 and collected my car that had done just 2,000 miles. Such a pleasure to drive compared with the the previous model. I am due to take delivery on 2nd August of a new SEAT Leon ST 2.0 TDI 150 FR Technology manual. Apparently it is to be delivered with 20-inch tyres as a free upgrade. However, I have reservations. The car has reasonable suspension for my needs, but I believe larger tyres would create a possible harder ride. I have damaged vertebrae in my neck and any possible extra vibration could cause pain and discomfort. I believe I could opt for different tyres or wheel size at no cost. What would you recommend? You definitely don't want 20-inch wheels and 35 or 30 profile tyres. Totally unsuitable. What are they thinking of? Inform the dealer that if it comes on them you will immediately reject because it is unsuitable for your needs, likely to aggravate your back and will inevitably cost a fortune in bent wheelrims, damaged tyres and prematurely worn yet very expensive tyres. The best compromise wheel size generally is 16-inch with 205/55 R16 tyres. Can you explain to me why the petrol consumption of my Yaris hybrid varies dramatically with ambient temperature? In winter, the average mpg over a period of time between tankfuls of petrol varies between about 52 to 57, whilst in summer, it rises toabout 63 to 68 and in very hot weather can rise to 70. This is measured both by the computer and by actual amounts of petrol purchased. These are figures taken over the last 2 years. Is it due to a faulty thermostat? Because the engine is having to work more frequently in winter to charge the battery, and also because whenever engines have to start in cold weather they have to overfuel in order to work. That problem does not occur in summer. A good tip is to use only Shell V-Power petrol in your engine. You'll get better mpg and it seems to prevent any fuel system problems. I've been a lifelong fan of BMW, my wife and I owning 9 BMWs and MINIs and my immediate family over 20 BMWs since the mid 90s. However, I've been really disappointed in the service I have recently received. The alloys on my 2016 X5 are corroded (three of them around the wheel centre) after just 14,500 miles. BMW’s initial response was that I had to pay a contribution to one of the wheels due to kerbing. After disputing this I agreed to proceed and then subsequently they claimed I now needed to contribute to a second of the wheels. Exactly the same issue occurred on my last X5 and all of the wheels were replaced with no quibble, despite the wheels being Kerbed. Therefore I am very frustrated in the inconsistencies in their customer service for changing their policy and for then 'trying it on' after I agreed to contribute to the replacement of one wheel. Surely under the warranty a defective part is a defective part regardless and I don't see how kerbing could affect or contribute to the corrosion of the wheel centre on a 13-month old car that's only covered 14,500 miles. Peeling lacquer in the centre of a wheel is completely different from a kerbed rim and is much easier to put right than a kerbed rim that is essentially damage rather than corrosion. But this is very common on X5s. The fashion for fancy 'polished' alloy wheels is completely ridiculous. They are much more robust and impervious to stone and sale damage if they are painted and then lacquered. Plain lacquer on top of polished alloy does not protect it sufficiently. I have a 2010 VW Golf 1.2TSI petrol with 42,000 miles. I recently got promoted, but now commute 100 miles a day, of which 70 miles are motorway. My Golf at 70 mph is doing 50mpg. However, I was thinking of changing it for a Toyota Auris. Should I go for a hybrid petrol or a 1.4 D4D, bearing in mind that diesels are dying out? I'm torn. Or should I continue with my Golf, but as it's getting old it might not last. I got a new timing chain tensioner 6 months ago, which was costly. Please advise. Timing chains were a problem with VAG 1.2TSI and 1.4TSI 4 cylinder engines because, in cutting costs, VAG forced the chain manufacturer to extend the lives of his link stamping tools. However, I would hope that once this problem was known, replacement chains were of better, more consistent quality. If you swap to an Auris, get the hybrid and you'll probably see 60mpg on your 100 mile commute. Recently, advice was forthcoming not to sit stationary for long periods with your engine idling, to help combat air pollution. This has always seemed eminently sensible to me and of course would avoid some fuel burn and therefore cost. Thus, at level crossings and four-way traffic lights I will shut my engine down if I can foresee a long wait. I frequently notice people stopped for example to answer their phones, leaving their engines running (illegal, of course). Sometimes, I guess it is to keep the aircon going, but otherwise it seems to me sensible to stop it. Also, some modern cars switch off automatically on stopping. My late Dad used to tell me not to switch off if I was stopped only for a minute or two, as it used more fuel restarting than you saved. But that was in the days of carburettors, so I assume no longer applies. What would your advice be, given the more advanced automotive fuel systems used nowadays. In particular, what (if any) time period would seem appropriate before switching off? Modern cars fitted with stop start systems generally switch off when appropriate. That depends on the charge in the battery and how hot the turbo has become because if the battery is too low or the turbo is too hot the engine will not shut down. Obviously, if you are the first car at a set of level crossing gates it is sensible to switch off entirely. I currently have a 2003 Audi A6 petrol automatic. which is getting a bit long in the tooth and I am looking to replace it with a similar second-hand Audi A6. I need an automatic and the vast majority of automatics available are diesel. I only do about 5,000 miles a year, which is mainly local, short journeys, with the occasional long drive. Am I correct in assuming that diesels are not best for this sort of driving and that I should stick with a petrol? Yes, correct. Your 2003 won't have all the emission gubbins that diesels now have to have and that does not like low mileage and repeated short runs from cold (and costs a fortune to fix). So petrol, or, preferably, petrol hybrid makes more sense. Take a look at a new Passat GTE, or the new range of Passat petrol engines. Luton Airport is infamous for that. They will have sold off parking enforcement to a bunch of extortionists and this is the consequence. These types of contracts are near impossible to get out of, so the situation will continue until the law changes. The law did change in November 2015, in the Supreme Court, but in the favour of the extortionists.